PrivatAir has now Vacancies for Cabin Crew based in Saudi Arabia. We thank you for your interest, and we look forward to receiving your candidature. The company is made up of three key divisions delivering service excellence both in the air and on the ground: Scheduled Services, PrivatTraining and Business Aviation – a hub of expertise encompassing Aircraft Charter, Aircraft Sales and Sourcing, Aircraft Management and Ground Services. 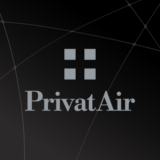 PrivatAir has been in operation for over 40 years, employs 400 people and has operating bases in Frankfurt (Germany), Geneva (Switzerland) and Copenhagen (Denmark).